Lockheed Martin has received a direct commercial sale contract for the integration of Sniper Advanced Targeting Pods (ATP) onto the Eurofighter Typhoon swing-role fighter. 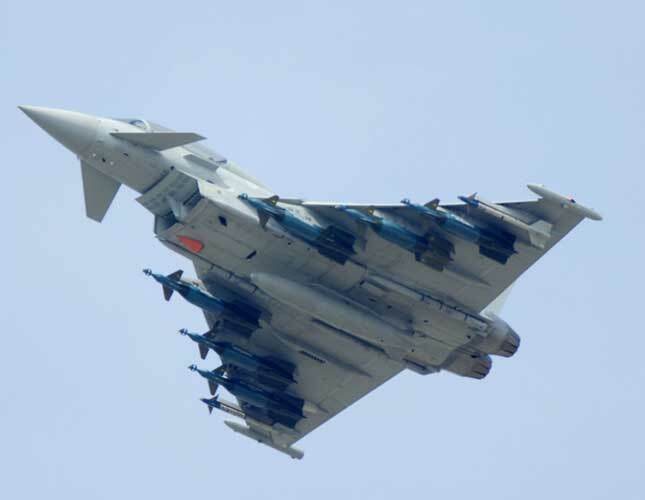 The contract, signed with Eurofighter partner company Leonardo Aircraft, includes 18 pods, integration and logistics support for the Kuwait Air Force's Eurofighter Typhoon. The Eurofighter Typhoon is the ninth aircraft platform to be equipped with Sniper ATP, joining variants of the F-15, F-16, F-18, A-10, B-1, B-52, F-2 and Harrier. “This contract marks the start of a successful relationship with the Eurofighter consortium to provide critical targeting capability worldwide,” said Ken Fuhr, Fixed-Wing Program Director at Lockheed Martin Missiles and Fire Control. “As a new Sniper ATP user, the Kuwait Air Force will see significant targeting benefits, including high-resolution imagery, advanced targeting modes, and intelligence, surveillance and reconnaissance capabilities,” he added. It is in service with 6 customers across 20 operational units and has been ordered by two more. The aircraft has demonstrated, and continues to demonstrate, high reliability across the globe in all climates. It has been combat proven during operations in Libya.